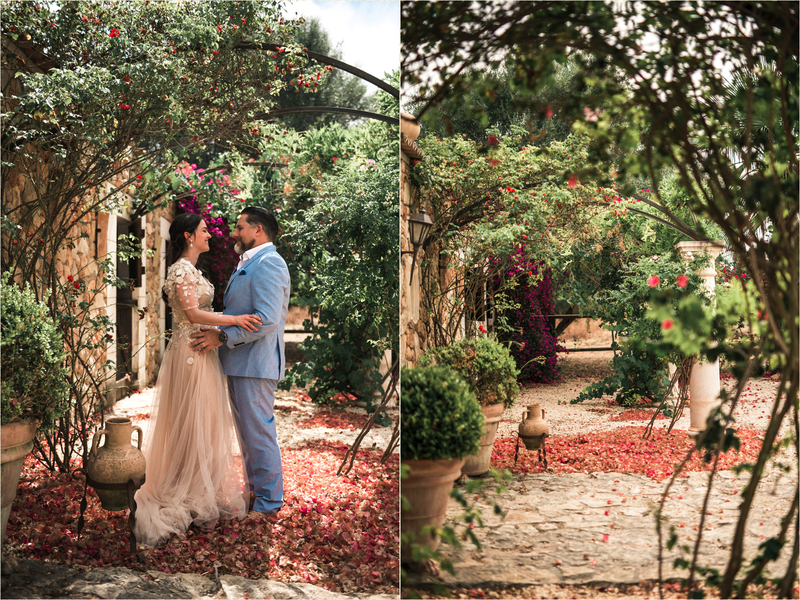 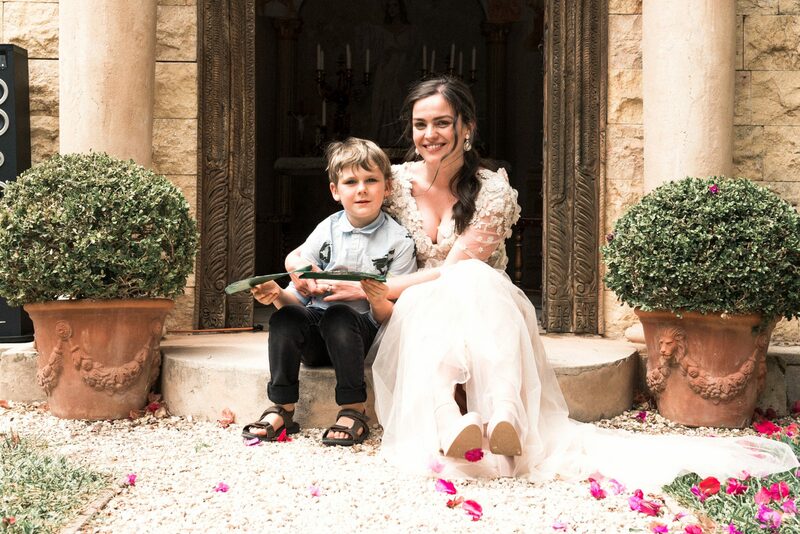 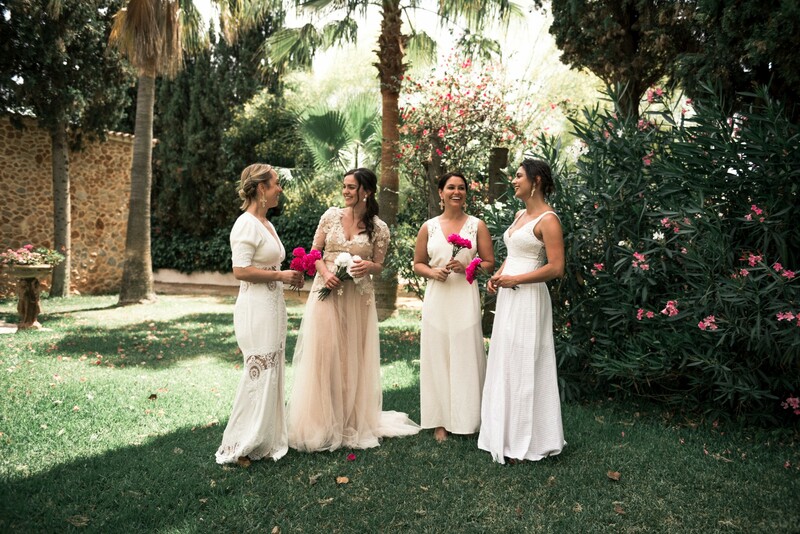 Taryn and Lourens flew all the way from South Africa with their family and close friends to celebrate their wedding in Mallorca. 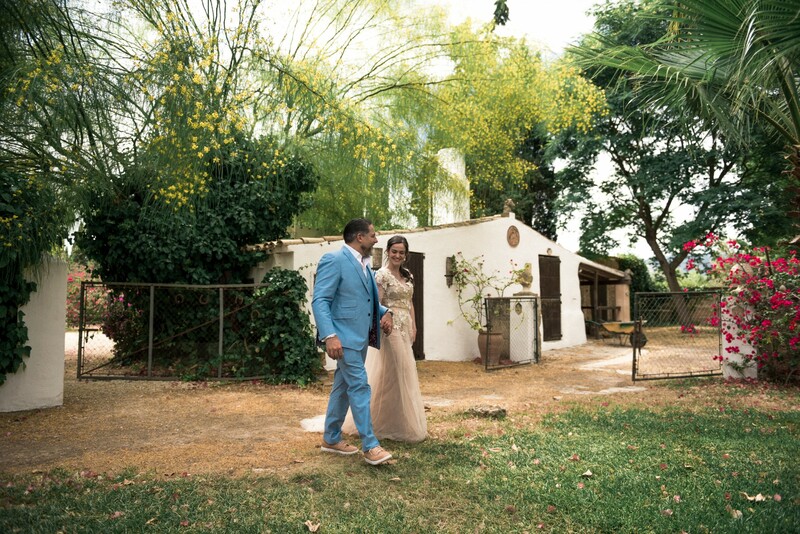 I was very excited about this wedding and that they chose me to be their wedding photographer at a really stunning venue- Finca Santa Lucia in Binissalem. 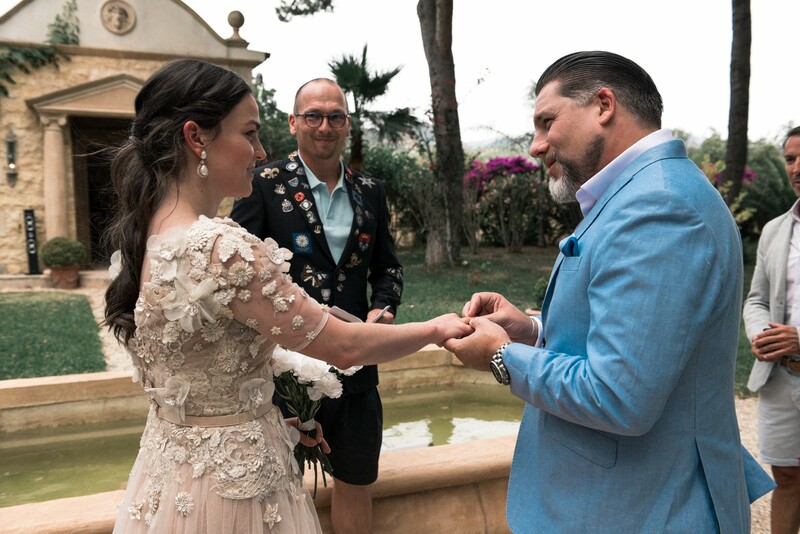 I somehow immediately felt close to them and this wedding was very special to me as South Africa has been my home and favourite place to travel since many years, so I was very much looking forwards to meeting both of them at their special day on this beautiful island. 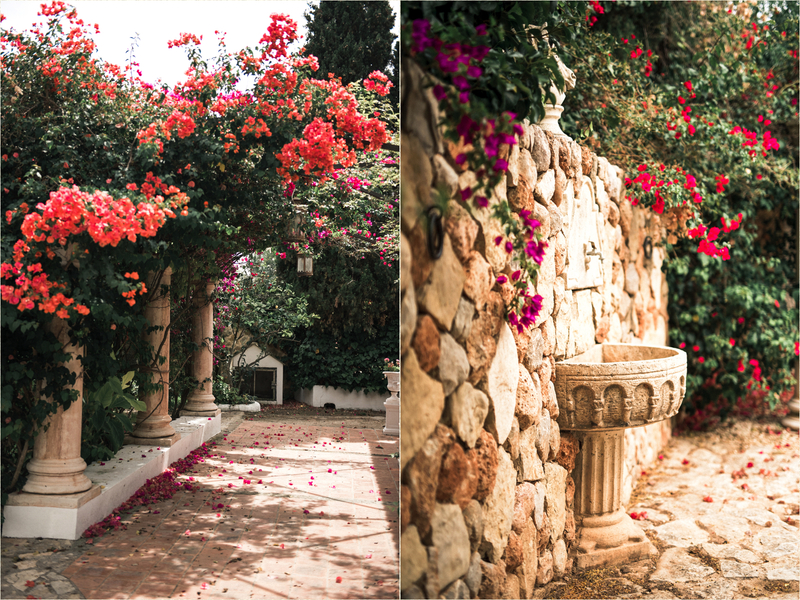 As I entered the drive way of Finca Santa Lucia in Binissalem, I instantly fall in love with the whole setting of rustic and wild, yet beautifully established property. 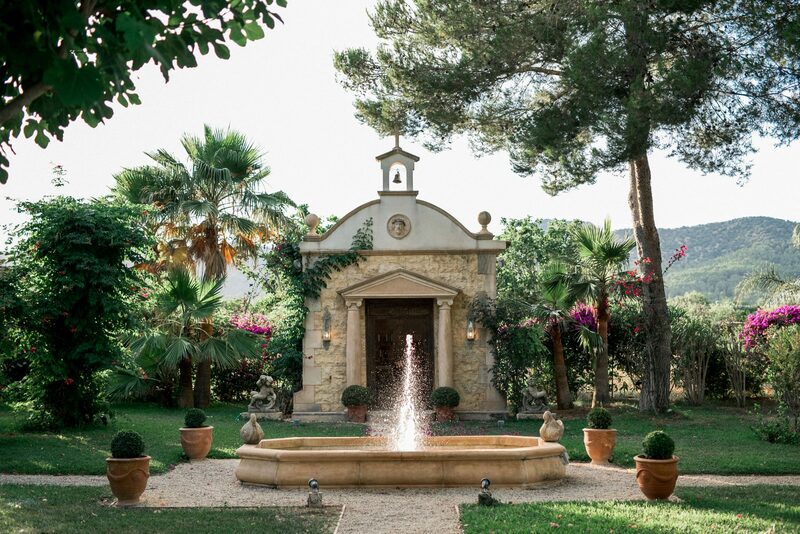 This traditional mallorcan property surrounded by tropical gardens of palm trees, bougambillas and golden fields, inhabited by white dowes and horses, was the ultimate dream location. 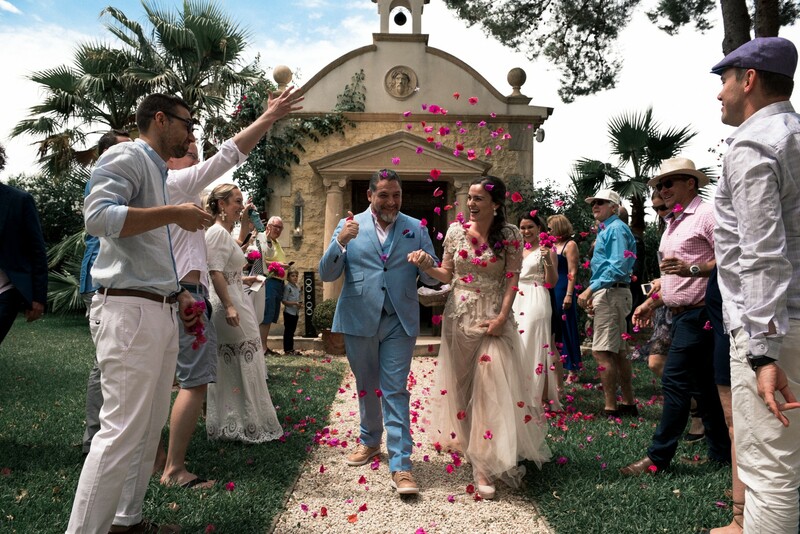 A very personal and intimate ceremony was held by one of their best friends in front of the small chapel at the back of the finca. 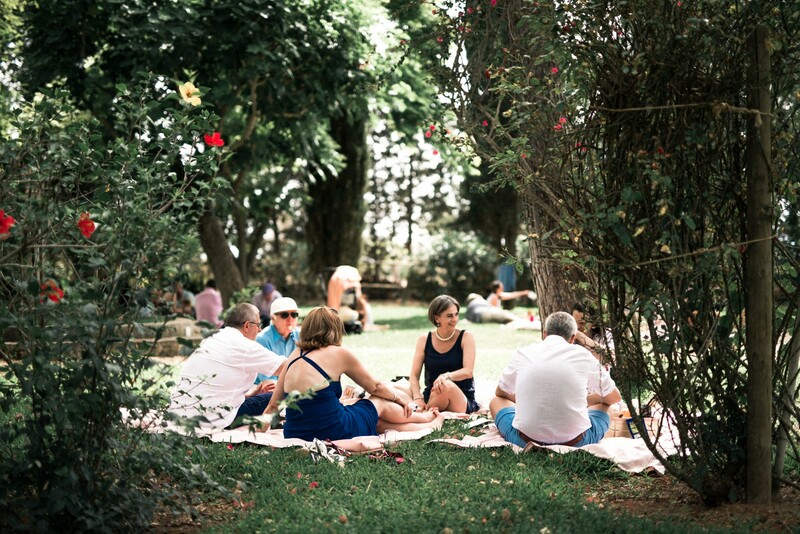 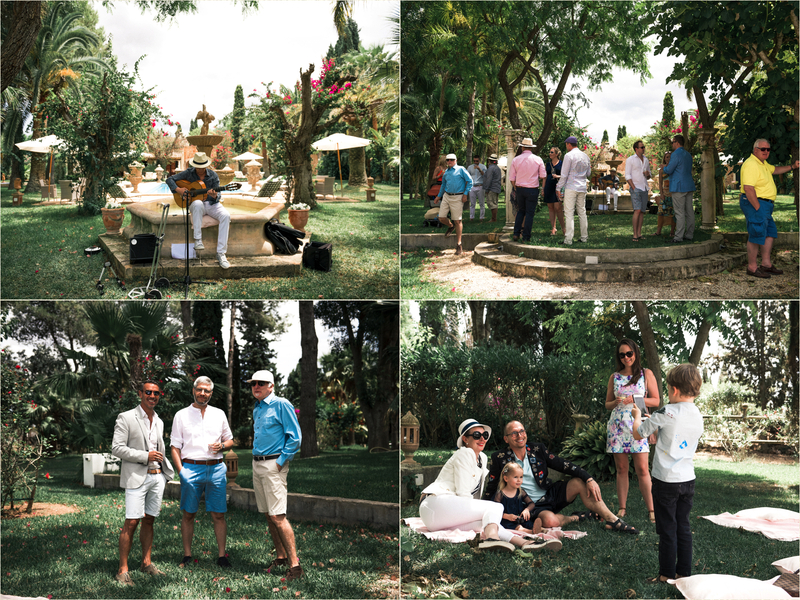 Instead of having a formal seating plan, they had a very non-traditional and relaxed garden picknick. 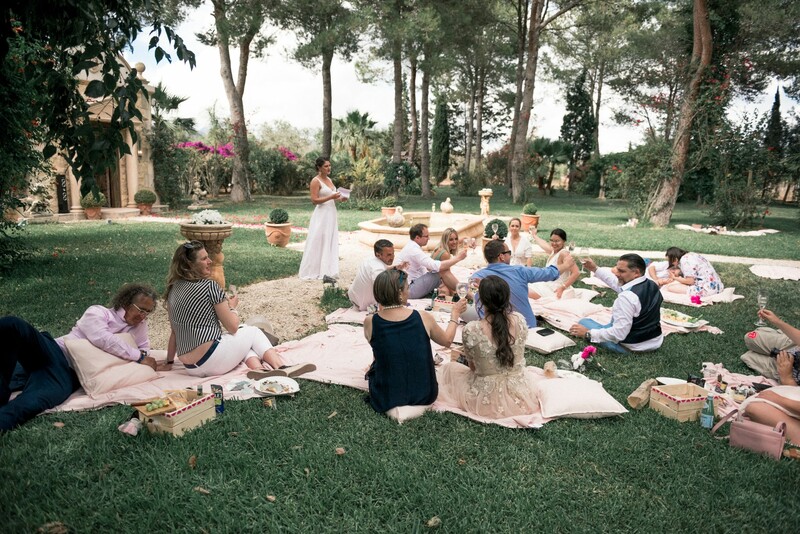 The food and champagne was served in pick nick baskets while everyone was just chilling on their blankets and enjoying the relaxed wedding vibes. 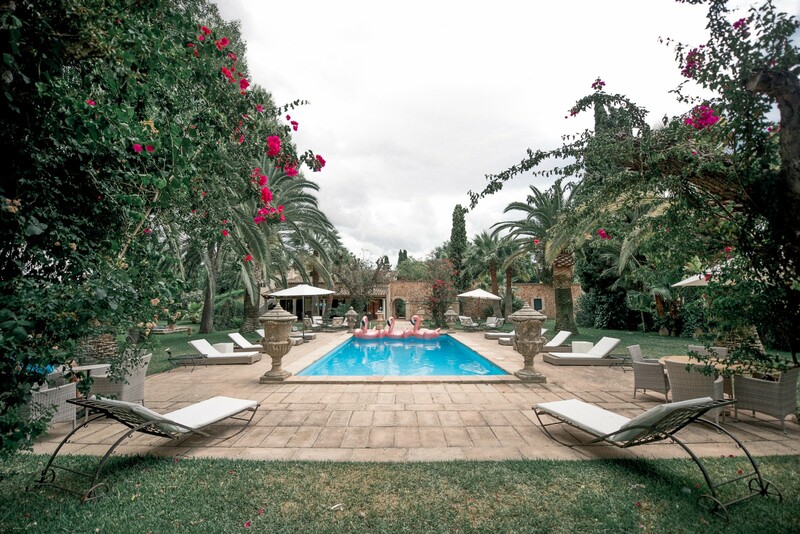 The day ended with a pool party, which was a whole lot of laughter and fun. 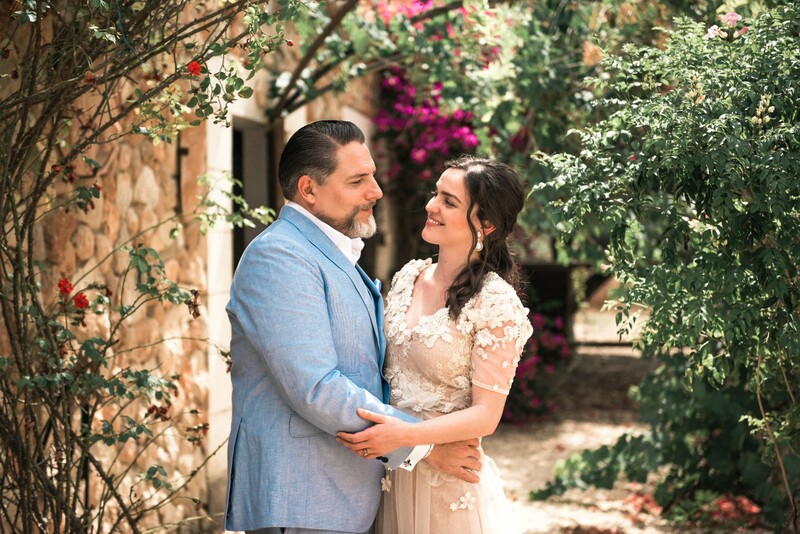 T&L truly celebrated their day the way they wanted and the way they are, which was filled with personal touches and rustic romance, that created an unforgettable day for themselves and their loved ones. 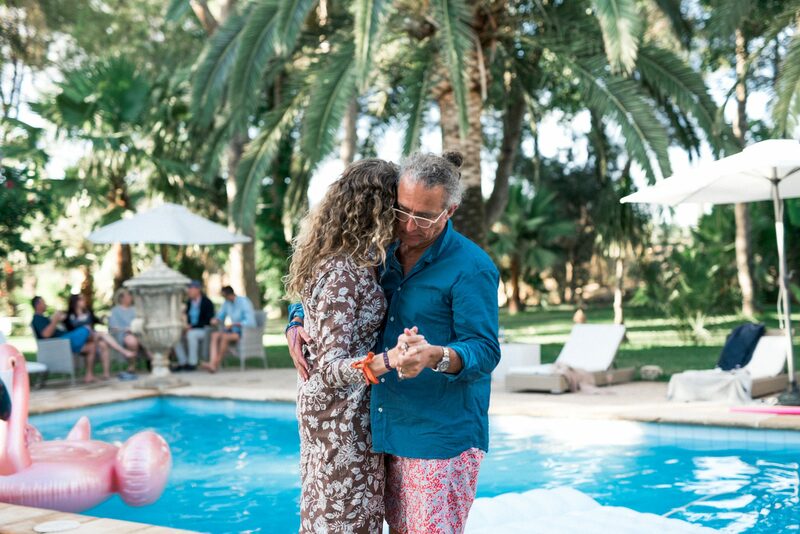 Thank you for your trust and for having me on your special day here on this magical island Mallorca. 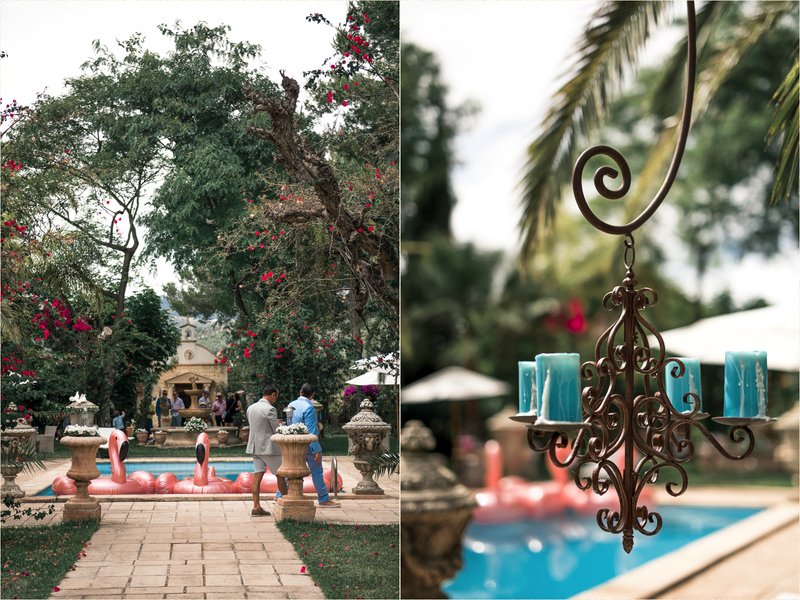 Here are some highlight photos of Tyrin’s and Lourens’s Finca Wedding.